Ludicrously ahead of their time, even in the experimental early '70s, Carmen were unlike anything else on the scene, least of all the American scene. The Allen siblings, David and Angela, were raised on flamenco, forming Carmen in 1970 as a way to meld their roots with their love of rock. 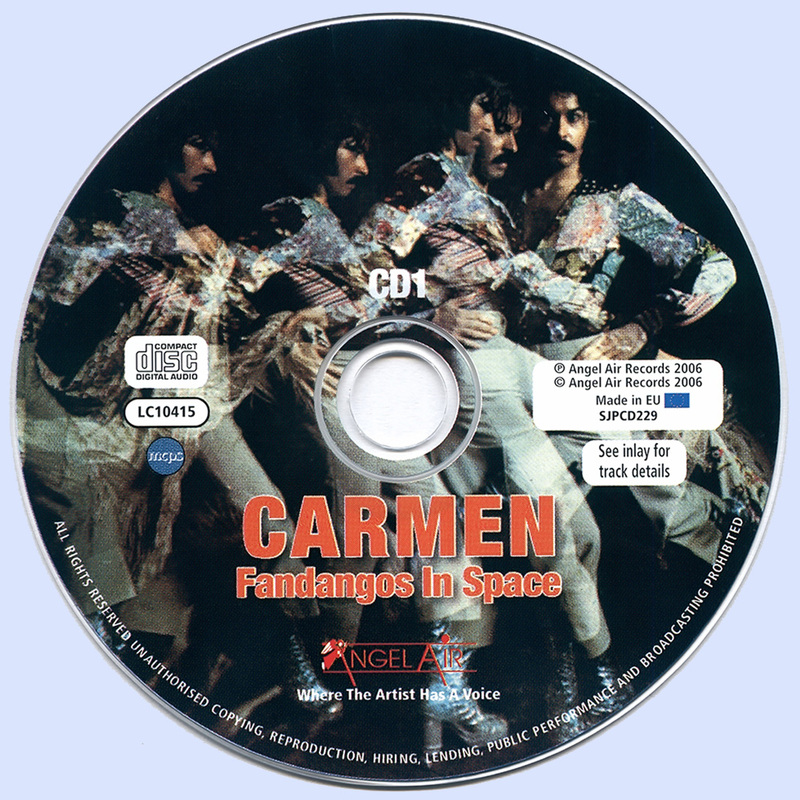 Unable to find a label in the U.S., the group decamped to London in 1973, hooking up with Tony Visconti, who recorded the band's debut album Fandangos in Space that summer. Songs like "Poor Tarantos" and "Sailor Song" beautifully showcase David's exquisite flamenco guitar, while "Bulerias" and "Retirando" capture the Spanish flavor along with the rock leanings of the group. The title track, in contrast, highlights their more operatic bend, a styling that Queen would more successfully exploit. "Fandangos" also boasts a decidedly funky rhythm, and its the album's shifting, intricate, and unique rhythms that further removed them from the pack. "Bullfight" and "Looking Outside (My Window)"'s distinctive rhythm patterns would both be borrowed later in the decade by experimental punk bands like Wire, Fashion and Gang of Four. Carmen's sophomore album, Dancing on a Cold Wind, recorded again with Visconti the following spring, was even more adventurous. The rhythms were more disjointed, the styling more operatic, the sound more majestic. At points, the album meanders into prog rock, as Angela's spacey keyboard effects swoop across the grooves; elsewhere, British influences strongly surface. Visconti's production understandably emphasizes the glammy feel of this set, the last one rocked, this one glitters in the vastness of the sparse arrangements. 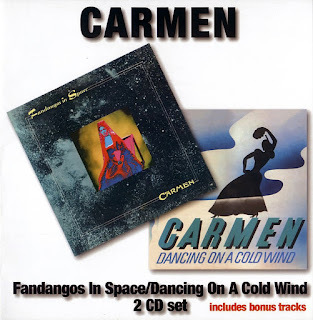 Fandangos is the more commercial of the two albums, so much so that many of the songs could receive airplay today. Dancing, in contrast, is the more intriguing for noodlers and lovers of the unique. Angel Air has now reissued both albums together across two CDs, tossing in a pair of bonus tracks to boot. 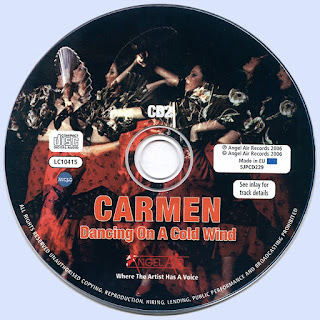 Carmen returns with a passion.